CINCINNATI -- The room is tucked away in a corner of Riverview East Academy. For students in grades 7 through 12, it's a place where they can talk freely about serious, and deeply personal, issues. It's also a place where school administrators hope students will begin to look out for each other. The room is called Margaret's Place. And some of the teens taking part say it has already worked. A Cincinnati Public Schools student, 8-year-old Gabriel Taye , took his own life last January. Family members allege Taye's classmates at Carson Elementary School bullied him , a claim CPS has denied . Still, like many school districts , CPS is looking for new ways to deal with bullying. The district partnered with Joe Torre's Safe At Home Foundation to set up Margaret's Place at Riverview East. It started in the fall. Torre, the former New York Yankees manager and now a Major League Baseball executive, named the program for his mother, who endured domestic violence in front of Torre and his siblings. Margaret's Place is a dedicated room at Riverview East Academy. There are 13 other Margaret's Place locations, eight in the New York City metro area and five in Los Angeles County. The East End location is the only one of its kind in Ohio. Riverview East was a good fit because the school has students in kindergarten through 12th grade and already had a partnership with the YWCA, principal Charlene Myers said. CPS would like to open more but needs to find funding sources. Government funding, foundation and corporate support, and individual donors pay for Margaret's Place locations. In Cincinnati, the Wohlgemuth Herschede Foundation, the Williams Foundation, the Marge & Charles J. Schott Foundation, the H C S Foundation, and Nancy Wolterman and Ed Wolterman are supporting the Riverview East program. Students can get individual counseling, group counseling and take part in a peer leadership group. There are also lunchtime activities. Any student can use the room, through drop-in hours and by appointment. Cameron Gardner, the Margaret's Place therapist, sees about six students a day. The counseling is free. Crisis intervention is a major focus. Students come to Gardner to calm down; then they talk through problems to find a solution. "The amount of kids that come through my door -- at first I was kind of nervous about it," Gardner said. "It really takes a lot for a child to come through a door and walk in and share their life story without even knowing exactly who they’re talking to." Cameron Gardner, MSW, LISW, is the Margaret's Place therapist at Riverview East Academy. Students bring heavy issues adults might not even know about, Gardner said: For some, it's depression or self-harm. Others have attention deficit hyperactivity disorder. Some students have trouble making friends. Some students can express those feelings and experiences by bullying others. And sometimes, the feelings are a result of a student being bullied themselves. It's an evil cycle, Gardner said, and one Margaret's Place is intended to break. "This is my job to work with these children. I don't have any other kind of priorities that I need to be doing," Gardner said. Giovanni Wright is in 12th grade at Riverview East. He said he had a rough home life, and didn't always feel welcome. Jaimi Erskine, Wright's classmate, lost her father when she was 10. She now lives with her grandmother and has gone to therapy. Emarie Blauser-Holt, a year younger, said she had an abusive stepmother who broke down her self-esteem and told her she was unloved. She says she was bullied throughout elementary school. All are regulars at Margaret's Place. For Wright, it's another release system and a place he can be himself. Erskine and Blauser-Holt agreed: Students can talk about things they might not feel comfortable talking about anywhere else. "What happens here, what's said in here, stays in here," Blauser-Holt said. She, Erskine and Wright also are peer leaders. They teach schoolmates that it's OK to talk about problems and show them how to deescalate potential bullying situations. Students Jaimi Erskine, Giovanni Wright and Emarie Blauser-Holt are peer leaders through Margaret's Place at Riverview East. The peer leaders don't always have solutions, but they can point classmates to someone who does. Blauser-Holt has already noticed a change: a tension in the hallways has disappeared. "People are starting to talk out their problems instead of answering the problems with their fists," she said. 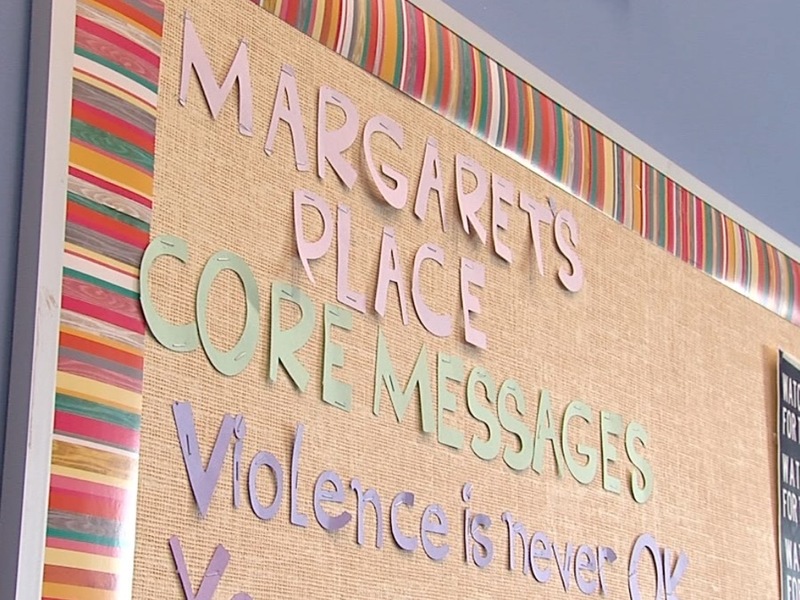 The students in Margaret's Place lead school-wide awareness programs. In the fall, they promoted domestic violence awareness. In January, the focus is on anti-bullying. 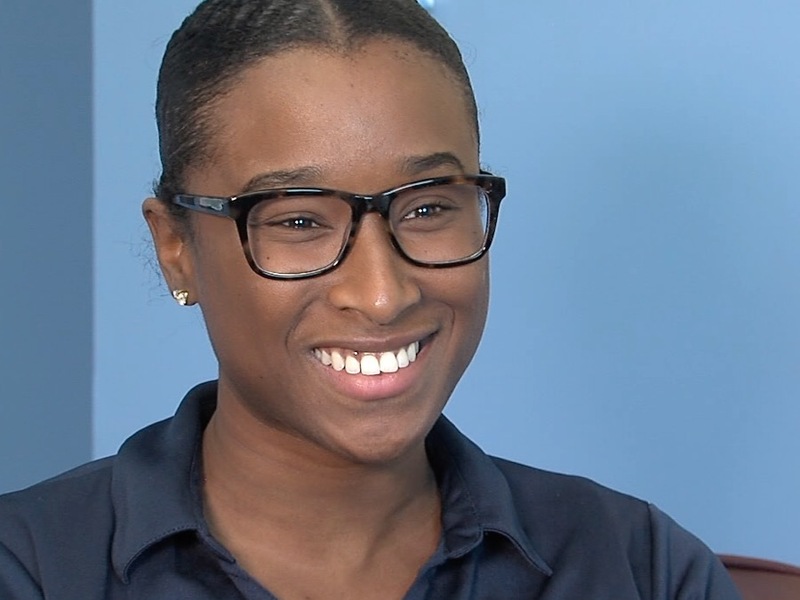 Erskine's advice to other students: "Never feel like you're alone. That's a big thing."